On October 8, 1862, Union and Confederate forces fought at Perryville, Kentucky, in a one-day battle that repulsed the South's attempt to bring that border state into the Confederacy. Although the summer of 1862 began promisingly for the Confederate cause, the fall brought failure and disappointment. By early September, Southern armies were marching north taking the offensive on both the eastern and western fronts. Flush with victory after the Second Battle of Manassas, General Robert E. Lee's Army of Northern Virginia invaded Maryland. Moving westward, Generals Edmund Kirby Smith and Braxton Bragg spearheaded a Confederate invasion of Kentucky. Their goal was to bring Kentucky into the Confederacy and refresh their armies with new recruits. 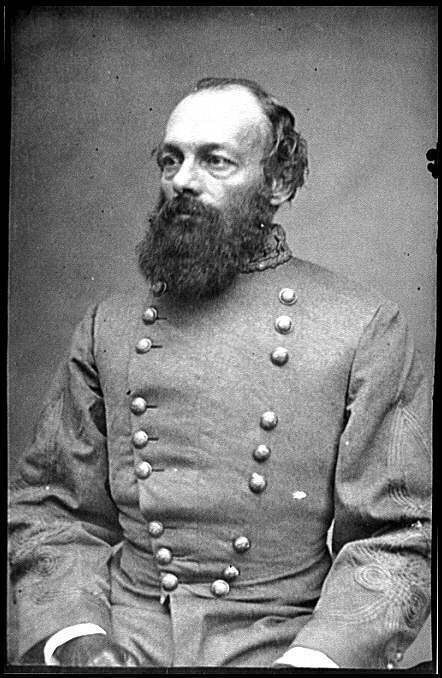 In August, General Smith led Confederate forces away from Knoxville, Tennessee, through south-central Kentucky to win an engagement at Richmond, Kentucky. Victorious, he moved on to capture Lexington—a city of considerable Southern sympathies. (Smith's name also is seen frequently as Edmund Kirby-Smith, though biographies tend to agree that the hyphen was added by his family in the years following his death. Although some sources index his name under Kirby-Smith, most contemporary sources, and most Civil War historians, have continued to use Smith.) One of the Confederacy's best cavalry officers was Lexington resident John Hunt Morgan who successfully targeted the rear of the Union lines in a spectacular raid around the Union Army. The Battle of Perryville, also known as the Battle of Chaplin Hills, was fought on October 8, 1862, in the Chaplin Hills west of Perryville, Kentucky, as the culmination of the Confederate Heartland Offensive (Kentucky Campaign) during the American Civil War. Confederate Gen. Braxton Bragg's Army of Mississippi won a tactical victory against primarily a single corps of Maj. Gen. Don Carlos Buell's Union Army of the Ohio. The battle is considered a strategic Union victory, sometimes called the Battle for Kentucky, because Bragg withdrew to Tennessee soon thereafter, leaving the critical border state of Kentucky in Union hands for the remainder of the war. On October 7, Buell's army, in pursuit of Bragg, converged on the small crossroads town of Perryville in three columns. 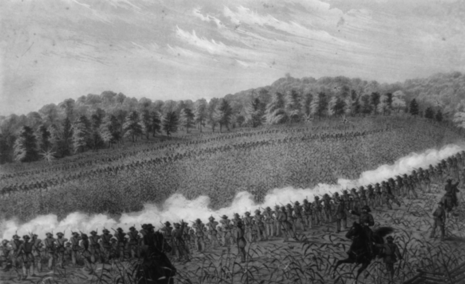 Union forces first skirmished with Confederate cavalry on the Springfield Pike before the fighting became more general, on Peters Hill, as the Confederate infantry arrived, both sides desperate to get access to fresh water. The next day, at dawn, fighting began again around Peters Hill as a Union division advanced up the pike, halting just before the Confederate line. After noon, a Confederate division struck the Union left flank—the I Corps of Maj. Gen. Alexander M. McCook—and forced it to fall back. When more Confederate divisions joined the fray, the Union line made a stubborn stand, counterattacked, but finally fell back with some troops routed.